« This article from mayo clinic is a real shocker ! . . . for all those interventional cardiologists ! Why it may be easier to visualise our coronary arteries than our vocal cards ? Medical imaging technology is the fastest growing sub specialty in medicine .Now, we can image almost every organ in detail in our biological system.With capsule endoscopy one can visualise deep interiors of intestines, we can get into the coronary artery by angioscopy.We can even image the molecular metabolism within the cells. While , we feel elated about all these technologies , every emergency physician will awkwardly recall how difficult it is to visualise a structure , located just few centi- meters beneath our throat called vocal cords . I am sure more lives are lost in this world by delayed and difficult intubation than any thing else in medical emergencies. Cardiac arrest can be tackled lot easier as the defibrillator is largely independent of rescuer expertise .Intubation of airway is vitally dependent on expertise. 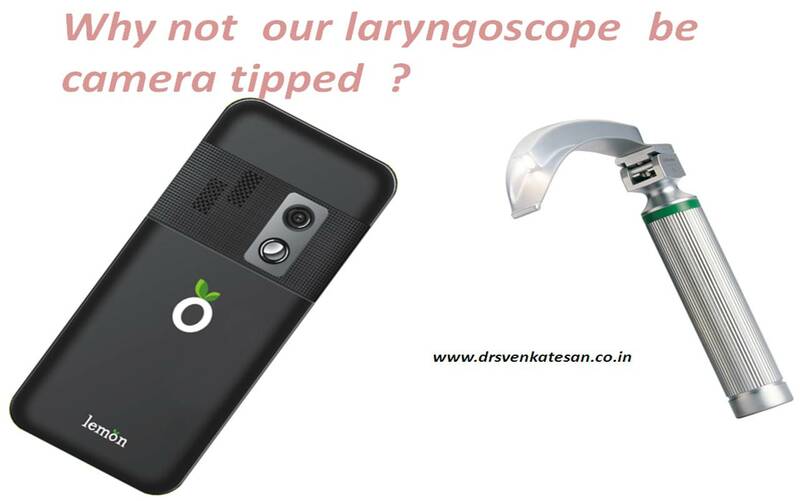 When we are able to visualise the deep segments of bronchus with fibro-optic scopy , why there has not been a simple , practical ,cheap optical solution to the superficial structure namely the larynx ? Human mind is too funny , if only larynx was deeper our scientists would have discovered such a device very early . Since it is just below the oral cavity no body thought it is worth to discover a scopy for that ! Now the long wait is over , we have a tool called Airtraq .There needs to be further refining of this device . Is it possible for the tips of endotracheal tubes to have cameras that transmit live images wireless ? , which can guide the tube straight to the trachea . We have twin cameras for our fancy cell phones while the life saving tracheal tubes are as blind as ever ! It is argued more such devices should flood the market . Every doctor and paramedical worker should acquire one ( Preferably integrated to their phones ) Imagine if they can beam the live pictures of the vocal card into their trendy 3 inch screens of i Phones . This could be the greatest revolution to occur in cardiopulmonary resuscitation . It is vital for the emerging technologies , to be intelligently used for the betterment of our patients. When video phones calls transmit live action to our mobiles across the continents , Is it not funny we struggling hard to get a good image of human vocal cords that are sitting just few cm below the throat ! Let us think simple for complex problems . Many breakthroughs will automatically happen. Three cheers to the developer of this Airtraq device ! on September 19, 2015 at 6:28 am | Reply John G.
That’s a great Innovation that can make a big difference in the way technology is going to be consumed in medical diagnostics. Thanks .